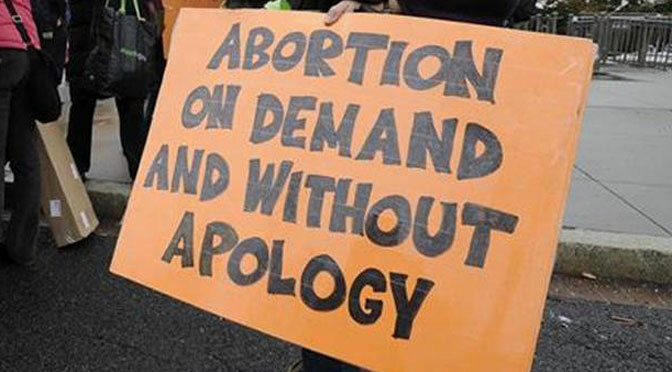 Comedian booed on talk show after claiming abortion is "cool"
The Keepers of the Official Abortion Narrative hold that absolutely nobody likes abortion, that every single woman who gets one would of course rather avoid it if she could. But try as they might, they just can’t seem to stop the occasional pro-abortion extremist from cheering abortion as a positive good that deserves to be used casually. The latest to miss the memo is actress and comedian Natasha Leggero, who recently appeared on Conan O’Brien’s talk show to gush about how “cool” abortion is, to the point where even Conan was taken aback and occasionally tried to veer her back on script. As the audience laughed, Conan disagreed. “I don’t think they go around saying ‘abortions are cool,’” he said. “Not like the Fonz” (a famously “cool” character from Happy Days). “I mean, you could get an abortion on every Jewish holiday and it would be okay,” she hyped. But when Leggero likened abortion to a contract with a towing company, the audience changed its tune towards her. “I’m not saying I am going to get an abortion but, you know, it’s just nice to – it’s like AAA. Like, you’re not going to use all those tows, but – no, it’s just nice to know –” she stumbled as some in the audience booed. Yes, killing a child is exactly like getting your car towed. The Catholics are the nutcases for noticing the second person who dies as a result of Mom’s actions, while those who pretend the kid isn’t there are the reasonable ones. Now where could anyone get the crazy idea that abortion advocates are narcissists? The Halakhic record on the subject of abortion coalesced around a central theme of sanctifying unborn human life, permitting abortion only when the mother’s physical life was in imminent danger during hard labor. While acknowledging the unborn child’s value, the mother’s life took precedence, and abortion in this extreme case was permitted. In the absence of modern day surgical procedures that allow both mother and baby to survive a breech birth, the pragmatic rabbis of the time allowed this one exception to the laws prohibiting abortion. Cesarean delivery and high tech medical care for premature infants have invalidated this exception to the prohibition against abortion. Today, ectopic pregnancy is the only allowable exception. Admittedly, this outlook contravenes the emotional inclinations and political opinions of many Jews today, especially American Jewish liberals. But in traditional Judaism the Torah takes precedence, irrespective of how few Jews accept its teachings, whether on a specific issue or in general. In the case of abortion, there is little doubt that the inclinations and opinions of may Jews have been strongly influenced by the secular culture in which they live. On the question of abortion, especially, traditional Judaism is countercultural. There are, of course, pro-abortion interpretations of Jewish teaching, but they seem to be based in a number of the same errors that we see all the time from pro-abortion spins on Christianity: assuming personhood is bestowed at some point after fertilization similarly to how some early Catholics used the “quickening” standard in the absence of a clearer scientific view of embryology; and drawing questionable interpretations and inferences from various passages of the Bible. Ultimately, for Christians and Jews alike, abortion should come down to two basic truths: that both faiths view murder as a grievous sin, because “for in the image of God has God made mankind”; and that modern science unarguably concludes that human zygotes, embryos, and fetuses are members of mankind. 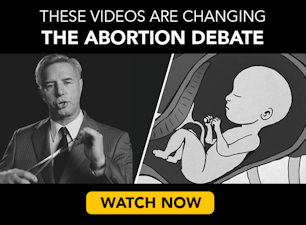 As sickening as Natasha Leggero’s callous hyping of abortion is, pro-lifers can find hope in some of the reactions from the audience and even Conan O’Brien himself, as they show that people outside the pro-life movement are still capable of being shocked at the true face of abortion-on-demand. Realizing we weren’t exaggerating after all may yet be the first step toward joining us.